A political culture that can accommodate Exxon’s climate denial is a political culture ripe for Trump. And that sums it up. 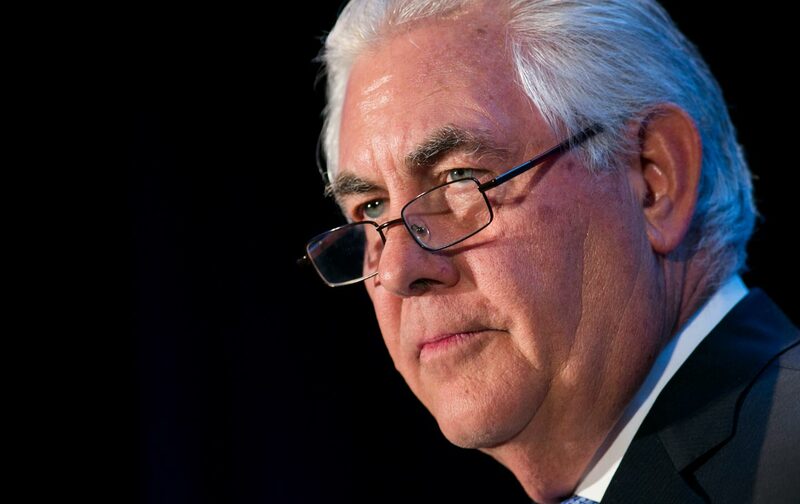 Nowhere in the piece that follows does the Post editorial board give any indication that Exxon Mobil—the “private empire” where Tillerson has spent his entire career and led since 2006—has for decades engaged in denial of scientific reality and obstruction of any serious policy to prevent catastrophic climate change. The paper’s lead news story devoted all of a paragraph to the fact that Exxon is under investigation by the attorneys general of New York and Massachusetts for apparently deceiving shareholders and the wider public about climate risk (though the paragraph implies, misleadingly, that “environmental groups” prompted the investigations, rather than rigorous investigative reporting by InsideClimate News, the Los Angeles Times and the Columbia School of Journalism). And yet, the Post editorial warns, the Senate should be wary only of Tillerson’s ties to Russia. The fact that, under Tillerson, Exxon’s profit model and political operations continue to defy the scientific consensus on climate change, which the company itself has understood internally since the 1970s, is a matter of course. In the Post’s view, “it is understandable that Exxon would object to sanctions that blocked oil and gas megaprojects Mr. Tillerson negotiated with Mr. Putin.” Those megaprojects, the Post might have added, are in an Arctic that is now melted, mainly by fossil-fuel combustion. This fact Exxon well knows—and views not as a danger to humanity but as a business opportunity. Tillerson is indeed a very able executive. But why dwell on this one editorial in a leading national newspaper when the wilful blindness it represents can be found everywhere? The New York Times editorial page does no better, calling Tillerson a “skilled businessman” and suggesting that the Exxon CEO could actually be a “positive” for the climate (“he could perhaps persuade Mr. Trump not to pull out of the landmark Paris Agreement”—yes, perhaps), even repeats the reality-bending claim that “Mr. Tillerson has reversed Exxon Mobil’s long history of funding right-wing groups that denied the threat of global warming.” Apparently the Times doesn’t consider the Republican Party a right-wing group that denies the threat of global warming. (Still more mystifying, even a journalist as fine as Steve Coll—whose indispensable 2012 book, Private Empire: Exxon Mobil and American Power, documents Exxon’s deliberate strategy of climate disinformation—fails to mention Exxon’s climate denial and obstruction, past and present, in an otherwise hard-hitting piece for The New Yorker.) When some of the best minds in American journalism are able to ignore or gloss over the most salient facts (for the fate of humanity) concerning a nominee for secretary of state, it seems fair to say that the political culture in which they live and breathe is toxically polluted. As vicious and disturbing as Donald Trump’s lies are, Exxon’s are insidious, and more dangerous. None of which has stopped mainstream politicians, including Democrats—as well as supposedly public-minded institutions from Harvard to the American Geophysical Union, centrist and center-left media outlets, even mainstream environmental organizations—from collaborating with, accepting funding from, and legitimizing Exxon and its industry co-conspirators. Yes, I know, all of this no doubt sounds a bit overwrought to some ears (including, I’m sure, those in the aforementioned editorial offices). It’s not the sort of thing one points out in polite company. After all, as the Times editorial page noted, hasn’t Exxon turned the page, ended its sponsorship of denial, and accepted basic climate science? Doesn’t the company, and Tillerson himself, even support a carbon tax? Not exactly. To begin with, climate change is not a case where “better late than never” really applies. The harm that Exxon’s (and its peers’) denial and obstruction has done to the climate—and continues to do—by delaying action, cannot be walked back; the rising and acidifying oceans, the intensifying floods, droughts, and heat waves, are inescapable features of the damaged planet on which today’s children and future generations must live. To ignore or downplay this fact belittles any notion of accountability, of justice, for corporate and political crimes. Exxon’s PR rhetoric, and its ongoing business and political activity, represent a kind of Orwellian doublethink. But even more to the point, it is also the case that Exxon’s current PR rhetoric, and its ongoing business and political activity, represent a kind of Orwellian doublethink, a denial of physical reality, a version of 2+2=5. If Exxon supports a carbon tax, then presumably it would employ its storied lobbying muscle to get one passed—instead of funding the politicians and organizations most committed to preventing any such policy. If Exxon accepts the basic climate science underpinning the Paris Agreement, as it claims, then surely it would fundamentally rethink its profit model—instead of pushing full speed ahead with exploration and development of new reserves (as in Tillerson’s now-famous Russia deal). Indeed, if Tillerson really supports the Paris Agreement, then he should admit that the majority of Exxon’s existing reserves will need to stay in the ground—instead of publishing a report, as recently as two years ago, saying “We are confident that none of our hydrocarbon reserves are now or will become ‘stranded.’” Scientists agree that Paris’s central goal of limiting warming to 2 degrees Celsius—itself most likely a catastrophic level—requires eliminating global carbon emissions by mid-century and ending the expansion of all fossil-fuel production and infrastructure now. If Exxon takes climate science—and the fate of humanity—at all seriously, then it should be helping to hasten its own industry’s obsolescence. Instead, Exxon claims falsely that there are no viable alternatives to fossil fuels for the foreseeable future (tell that to Germany and Denmark, or for that matter, China). Most cynically of all, it claims that it is helping lift the developing world out of poverty by supplying cheap energy—while in fact foreclosing any hope of a livable century for the poorest and most vulnerable countries on Earth. Meanwhile, key pillars of Exxon’s propaganda and its profits—in particular the idea of fracked gas as “clean” energy and a viable “bridge fuel”—have won mainstream respectability, including acceptance among pro-drilling and fracking Democrats such as Hillary Clinton and some of those same centrist and center-left institutions. An acceptance which, when you understand the climate math, amounts to another version of 2+2=5. To anyone who cares about humanity’s future, stopping Exxon and the carbon lobby should have been as high a priority for the past 30 years as stopping Trump was in 2016. But that would have required an honest fight. Now it’s going to require a revolution.